You are receiving this notice as a result of a determination by your diagnostic imaging service that further discussions of your test are warranted and would be beneficial to you. The complete results of your test have been or will be sent to the health care practitioner that ordered the test or tests. It is recommended that you contact your health care practitioner to discuss your results as soon as possible. The state of Pennsylvania wants to make sure patients who have a “significant abnormality” on an imaging exam are notified that they may require medical follow-up. A new law requires imaging service providers to notify those patients directly, in addition to sending the report to the health care practitioner (HCP) who ordered the exam. The law—the Patient Test Result Information Act or Act 112—addresses a communication and patient safety problem that has been difficult to fix. A significant number of patients whose serious conditions are detected by imaging never get notified and may suffer the consequences of delayed diagnosis. 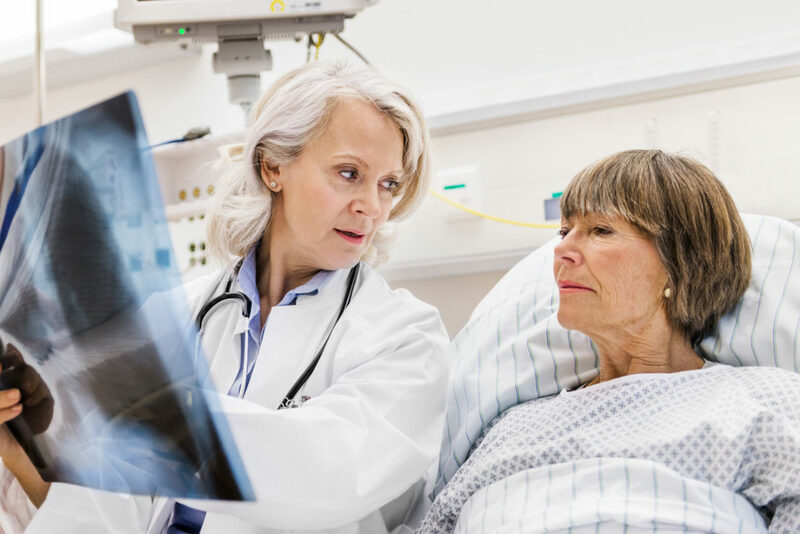 For years, people have tried different ways to “close the loop” and ensure that physicians receive test results promptly, especially when there is a “critical finding” that warrants prompt follow-up. Despite sincere efforts, the problem persists. With Act 112, legislators and citizens in Pennsylvania have sent a message to the imaging community and HCPs: patients have the right to know their results and may provide a solution to the communication problem. Providing patients or a designated surrogate, such as a family member or friend, with direct access to their records—imaging results, laboratory tests, clinical notes, prescriptions, and more—is a growing trend. Pennsylvania’s new law is unusually proactive, potentially pre-empting the ordering HCP’s consultation with the patient. It’s one thing to make records available to patients, allowing them to choose when and whether to access the information. It’s another to push notification of problems to patients directly, without the counsel of a healthcare professional. If the law performs as intended, it will save lives and result in easier and more effective treatment for others. It is also causing the medical community to implement new systems and cope with legal uncertainty; Act 112 may also disrupt established professional relationships and patterns of practice. Acknowledging that Act 112 represents a sea change for providers, Pennsylvania’s Department of Health (DOH) announced shortly before the law went into effect on December 23, 2018, that it would offer a grace period to allow organizations to prepare to comply with the law. Although imaging facilities must begin to develop policies for compliance immediately, the department will not issue sanctions for non-compliance until after it has issued final “clarifying guidance,” expected later in 2019. Until that time, if the DOH finds a facility has not complied with the law’s requirements, including patient notification, it will issue a letter with helpful information instead of sanctions, the details of which have also not yet been determined. The Pennsylvania Medical Society and the state’s Hospital + Healthsystem Association are working to create standardized guidelines to help clarify the legislation, which they will submit to the DOH for consideration. The implementation of Act 112 is in its infancy, and it is already clear that health care and imaging providers face many questions as they prepare to comply with the law. There was little coverage in local media or public debate of the proposed legislation as it worked its way through the state legislature. As implementation proceeds, and patients begin to receive notification, other questions may arise. The scope of Act 112 is narrow, and its requirements are specific. In addition to the language quoted at the beginning of this article, entities must provide patients with the name of the HCP who ordered the test, the date of the test, the date when results were provided to the ordering HCP, and how the patient can obtain the full radiology report. Patients must receive that information either in person at the time of the exam or by mail, email, fax, or through access to a patient portal within 20 days of when the report was provided to the ordering HCP. The Act’s exemptions have raised questions. Imaging services provided to inpatients and patients in the emergency department are exempt, as are “routine obstetrical ultrasounds” performed to monitor fetal development and “diagnostic radiographs,” understood to mean x-rays. It is not clear whether the Act applies to imaging for patients under observation in hospitals. The exemptions may have been an attempt to limit the burden of implementation on the healthcare system, but leaving all x-ray exams outside the scope of the Act means that many patients with incidental findings will not have the safeguard of direct notification. The status of nuclear medicine exams, endoscopy and echocardiograms needs to be clarified. Also in an online alert to providers, attorneys at White and Williams, LLP, a law firm with offices in six states, including Pennsylvania, point out that the law may reinforce a natural tendency for regulated individuals and organizations to err on the side of caution. If imaging entities protect themselves by expanding their definition of “abnormal,” more patients than necessary will be subjected to fear and anxiety. The Act goes only as far as notification of the patient. There is no guarantee that patients will understand what the notification means and contact their HCPs for follow-up. While no one expects Act 112 to be the silver bullet that solves all communication problems in radiology, it is a notable attempt. Studies1,2 performed at ambulatory clinics associated with the Michael E. DeBakey VA Medical Center in Houston demonstrate that making significant improvements in reporting test results is an ambitious goal. A study published in 20071 evaluated the rate at which physicians received and acknowledged notification of critical imaging results in a system using alerts delivered through the sites’ electronic medical record (EMR). Although fewer critical results fell between the cracks than in studies performed at sites using non-computerized alerts, the DeBakey study still found that 4% of critical results had not been acknowledged four weeks after reporting. The authors were aware of at least one system that reported better results—2% lost to follow-up rate—by adding personal notification by telephone to automated alerts. The second study,2 also performed at DeBakey and published two years later, measured how many reports of critical imaging test results received follow-up action as well as acknowledgement of the alert or report. HCPs were notified about critical results via an EMR alert or via access to the radiology report. The authors hypothesized that “…an EMR that facilitates the transmission and availability of critical imaging results through either automated notification or direct access of primary report would eliminate”2(p1579) the problem of reports being missed by HCPs,” which it did not. Automation with computerized alerts did not provide the reliability the authors were hoping for. In fact, they found that timely follow-up with patients was a problem even in cases where the HCP acknowledged receiving the report. The second study found that 7.7% of critical results lacked follow-up vs 4% in the earlier study. This study included double reporting (two HCPs) of some alerts, which degraded rather than improved follow-up. Rebecca Jones, at the Pennsylvania Patient Safety Authority, believes that “improving communication of test results is one of our biggest areas of opportunity when it comes to diagnostic excellence.” Jones serves as director of both the Authority’s innovation and strategic partnerships and its Center of Excellence for Improving Diagnosis. She reports that the Center is working with Pennsylvania hospitals to “develop a qualitative understanding of the current level of performance regarding diagnostic safety,” including their readiness for Act 112. Over time, the Center will help organizations identify areas of challenge and success. Jones expects hospitals and health systems that already have sound processes in place for notifying patients about incidental findings may be in good shape to fulfill Act 112’s requirements. The Center will encourage those organizations to share best practices and advise others to help improve diagnosis throughout the state. Stay tuned… the May issue of Improve Dx will feature further coverage of Pennsylvania’s Act 112, to include the perspective of patients and organizations about implementation. Thank you to our reviewers: Mark Graber, MD, FACP; Jeannine Cyr Gluck, MLS; Michael Grossman, MD, MACP; Lorri Zipperer, MA; and Rebecca Jones, MBA, BSN, RN. Singh H, Thomas EJ, Mani S, et al. Timely follow-up of abnormal diagnostic imaging test results in an outpatient setting: are electronic medical records achieving their potential? Arch Intern Med. 2009;169(17):1578-1586. Don't miss an article. Get the Society to Improve Diagnosis (SIDM)'s newsletter delivered to your inbox.